Now, a new study suggests that an underlying psychological disorder may be one reason why some kids jump at online dares such as the "Bird Box" challenge, where people walk around blindfolded, and the Tide Pod challenge, daring people to eat laundry detergent. 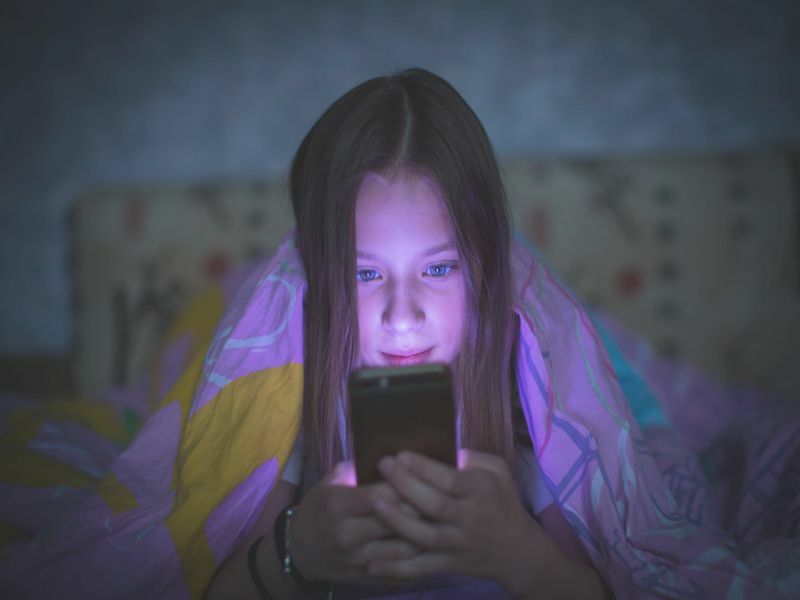 The French researchers, who decided to focus on the choking game, found that nearly 10 percent of the almost 1,800 middle schoolers surveyed had tried it. Those who had participated were about twice as likely to be depressed or to have a conduct disorder. "Parents of adolescents with behavioral problems, as well as parents of depressed teens, need to be aware of this serious problem in order to educate and monitor their vulnerable youth," said Dr. Victor Fornari. He directs child and adolescent psychiatry at Zucker Hillside Hospital in Glen Oaks, N.Y., and Cohen Children's Medical Center in New Hyde Park, N.Y.
Fornari said this study highlights that "prevention strategies need to be developed to intervene in this dangerous behavior." The choking game is a thrill-seeking activity where people self-strangulate or have someone else strangle them to the point of passing out. Supposedly, the lack of blood and oxygen to the brain causes a temporary euphoric feeling before people lose consciousness, the study authors explained. There is also a "rush" when blood flow is restored and people become conscious again. Information on this sometimes deadly practice can easily be found on the internet. In addition to the risk of dying, the choking game may lead to chronic headaches, changes in behavior, recurrent episodes of fainting, seizures, eye damage and neurological damage, the study authors said. The study was led by researcher Gregory Michel, from the University of Bordeaux in France. Dr. Robert Glatter, an emergency physician at Lenox Hill Hospital in New York City, said, "This 'game' can end in stroke, asphyxiation or death." Given the potential for harm, what might make kids do this? For depressed teens, Michel and his colleagues suggested it's possible that "this behavior serves as a specific coping mechanism for distressed adolescents." The link with conduct disorders and participation in the choking game was slightly higher than the link to depression. The authors suggested this may have something to do with the antisocial behaviors common in teens with conduct disorder. Conduct disorders are a group of behavioral and emotional disorders, according to the American Academy of Child and Adolescent Psychiatry (ACCAP). Teens with these disorders have trouble following rules and respecting others. They have difficulty showing empathy and are often thought of as delinquent by others. Risk factors for conduct disorders include brain damage, neglect or abuse, a family history and traumatic experiences, the ACCAP says. Michel and his team pointed out that their study wasn't able to show a direct cause-and-effect relationship between these psychological problems and participating in the choking game. They were only able to pinpoint an association. Still, Glatter said this study shows the need for a better understanding of the genetic and environmental factors that cause kids to engage in these behaviors. "Is the very act of playing this game a 'cry for help,' or a coping mechanism in their attempt to ease ongoing mental conflict and pain?" Glatter said. He added that depressed teens or those with a conduct disorder might benefit from cognitive behavioral therapy, "to give them the tools to better address and confront negative emotions that may drive them to play the choking game." The study authors suggested that interventions designed to specifically prevent these types of risky activities are needed. Giving kids tools to better manage their emotions would help, they said. The findings were published online Jan. 28 in Pediatrics. Learn more about the choking game from the American Counseling Association.